This post is sponsored by Barilla but the content and opinions expressed here are my own. 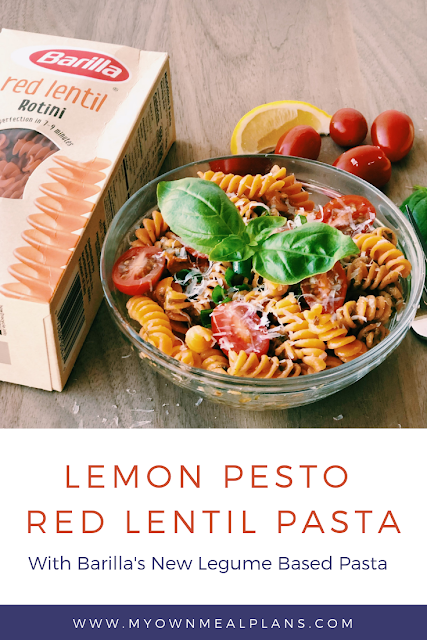 This Lemon Pesto Red Lentil Pasta is a new healthy and delicious pasta recipe! Pasta is one of my favorite food groups, but it isn't always the healthiest option out there. 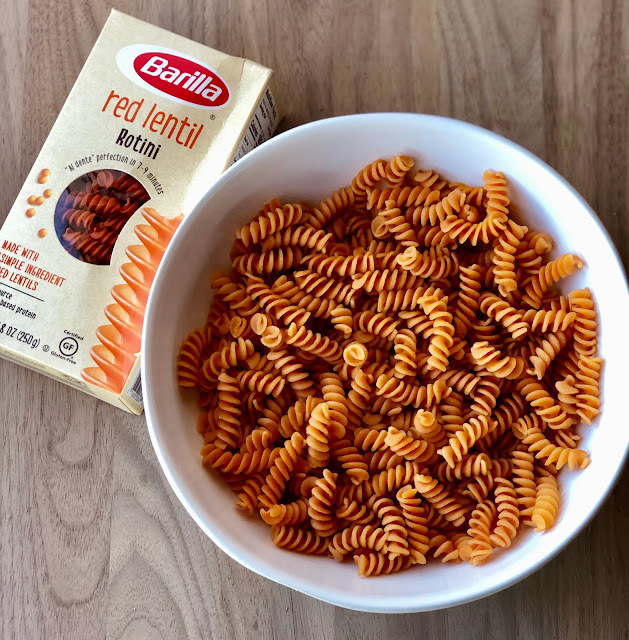 Barilla has created an awesome new product, a Legume Based Pasta! 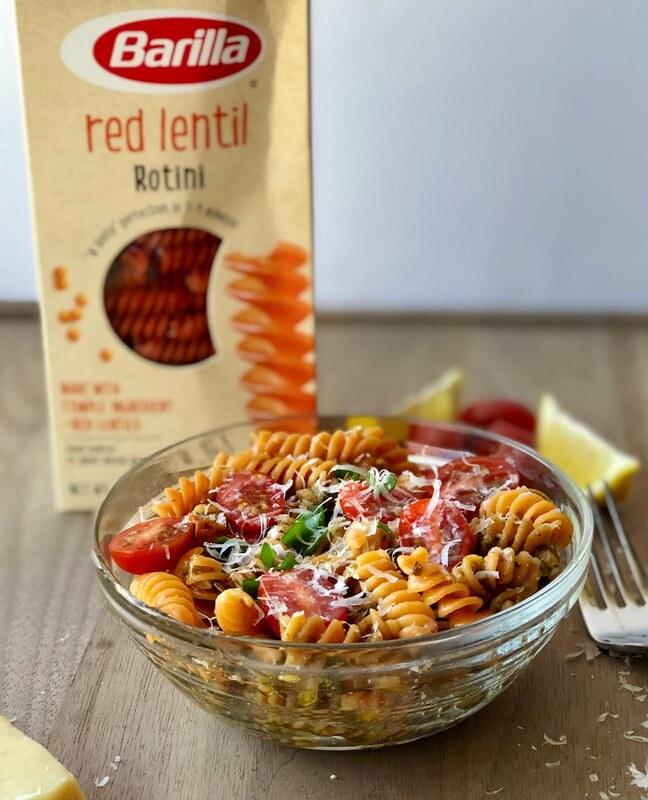 This pasta is made from one simple ingredient, Red Lentils! It is a great pasta alternative that has a great flavor and texture! Make it with me! We are all seeking healthier options for ourselves and our families. There are so many “healthy” options available today, it’s difficult to know which products to try. And if you’ve tried a few of the healthier alternatives out there – chances are you’ve been let down by, poor taste and/or texture, or use several questionable ingredients (what is xanthan gum?!). 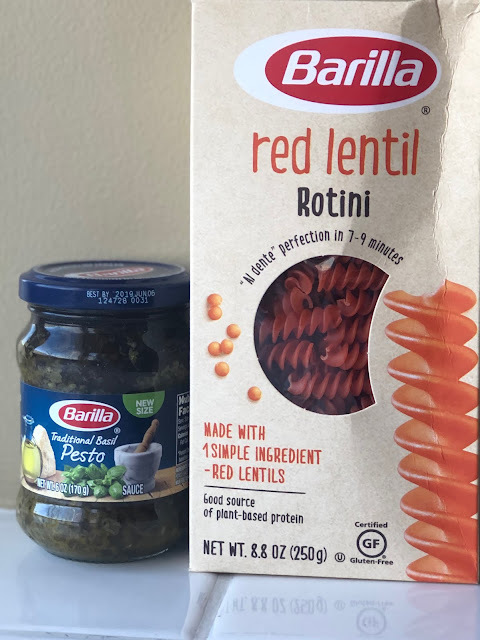 Barilla has addressed this gap by introducing Legume based pasta. The new legume pastas are made from one simple ingredient (chickpeas or lentils). Plus, they have a superior taste and texture vs. similar products on the market today. I tried the Red Lentil Legume Pasta and loved it!! You can order this pasta in a four pack on Amazon! Which is great because after you taste this, you will want to order more than one! It's the best bang for your buck! Plus, it ships right to your door! Try the Red Lentil and Chickpea options and let me know your thoughts in the comments below! Start by boiling 4 cups of water in a medium saucepan. When water reaches a rolling boil, add Barilla Red Lentil Rotini and set the timer for 8 minutes. 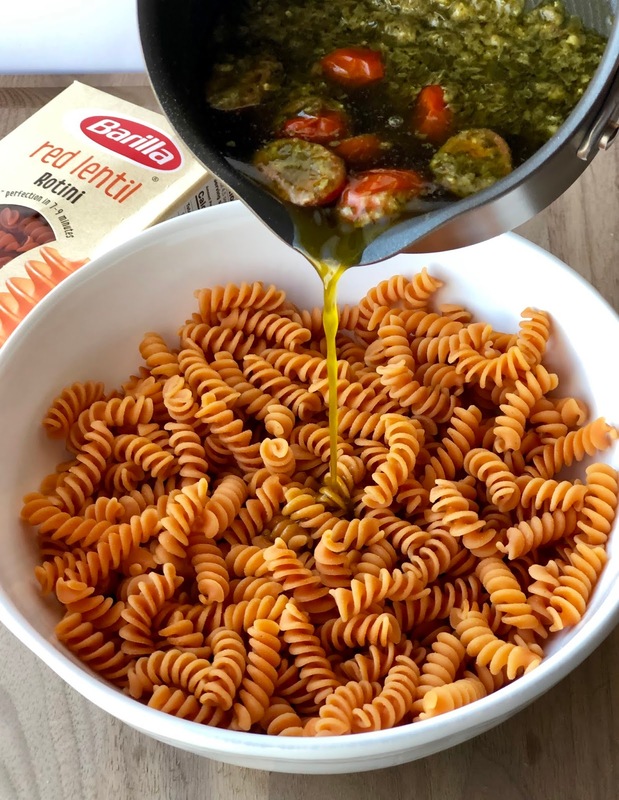 In a small saucepan over medium heat, add the Barilla Traditional Basil Pesto, extra virgin olive oil, and lemon juice. Heat for 2 minutes. Next, add the cherry tomatoes to the sauce and cook for one minute. Remove from heat. When the pasta is finished, strain the water out into the sink and place in a bowl. Pour the prepared pesto sauce over the noodles and mix. Top with grated parmesan and basil. Like this recipe and want to save it for later? Pin it to Pinterest here!